This elective course is a review of auction practices basic to the auctioneer. This course will satisfy 6 hours of CE credit. 30 day access to the course is $100. This course meets requirements for annual CE for auctioneers. All auctioneers must take the CORE class a minimum of every four years. 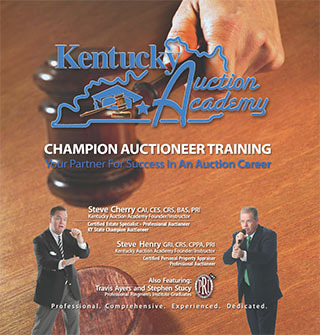 This 12 hour pre-license course for the Apprentice Auctioneer consists of 6 hours of Auction Basics and 6 hours of Law. This also fulfills the requirement for Auction House Operators License.